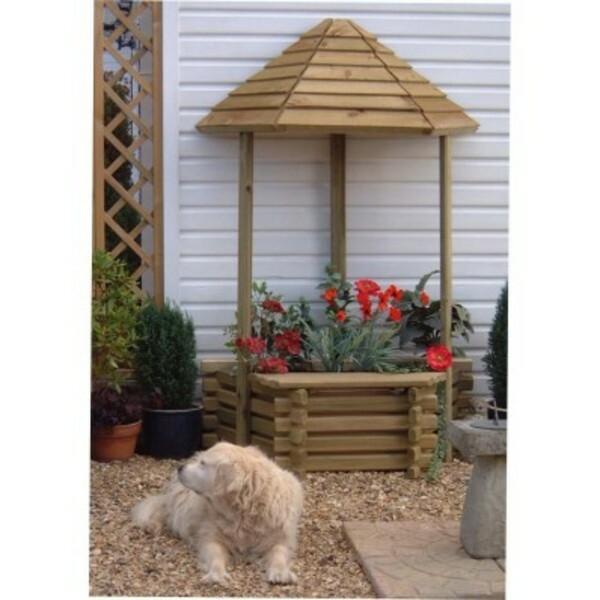 The impressive Norlog Wishing Well / Planter is constructed from the finest quality Swedish timber, an award winning design with a unique interlocking log system it is quick and easy to assemble. 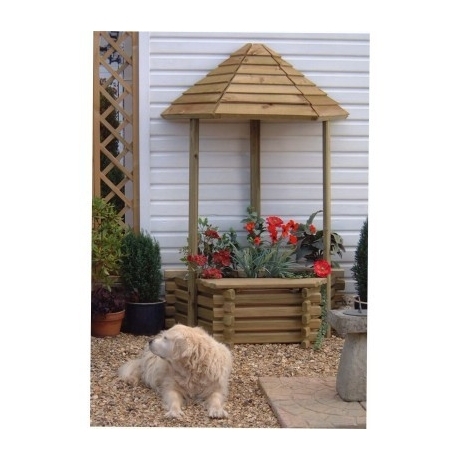 This half hexagon shaped structure is designed to be positioned against a wall or fence, it uses less space in your garden whilst still having the impact of the complete wishing well. 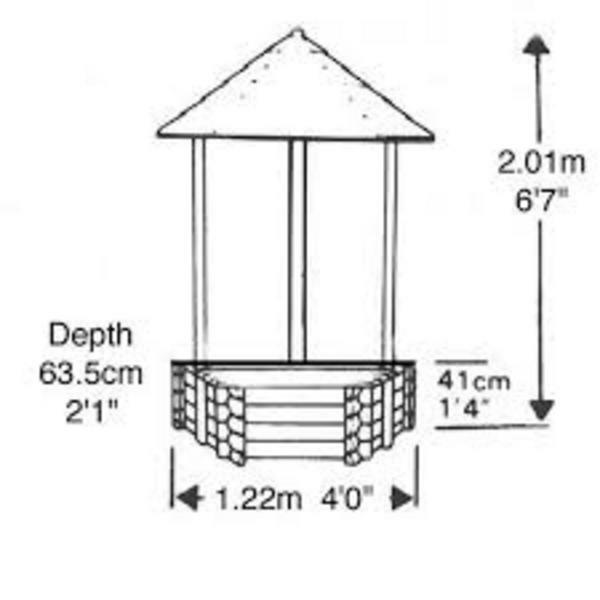 At 2 metres tall it draws the eye in a particular direction and more so once planted with your favourite flowers creating a stunning floral display and there is even a seat to enjoy the view. Dimensions: H 201cm 81"x W122cm 49"x D 63cm 25"